Waterloo senior Kane Osterhage led area players in scoring with 31 goals and 21 assists this fall. 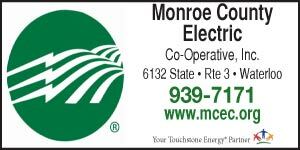 Monroe County boys soccer continued its dominance this past fall. Waterloo High School took the Class 2A crown to keep the county’s state championship streak alive — Columbia won last year and Gibault won in 2013. Here is this year’s Republic-Times All-Local Soccer Team, which features a strong list of local talent. Kane Osterhage, Waterloo: Osterhage was the best player in the entire St. Louis area and was on the last team standing in the state this year. He led all area players with 83 points (31 goals, 21 assists). The senior also showed up with major contributions during the state title run. Read the full story in the December 16 issue of the Republic-Times. If you don’t already receive the paper, you can subscribe by calling 939-3814 or clicking here, or pick up a copy at any of these locations.